Since Greek and Roman times, the appearance of a plant has been used to help identify plant health. The plant speaks through distress signals. The message may be that there is simply too little or too much water. Or the sign may tell us of a disease caused by a microorganism, such as a bacteria, virus or fungus. The plant may show symptoms of attack by nematodes, insects or rodents or from injuries from frost or lightning. According to the plant species these signals may differ slightly, but frequently they can be generalized. It is also possible to generalize about the signals linked to the nutritional status of a plant. Learning these symptoms can alert us to appropriate steps to correct the toxicity, deficiency or imbalance of nutrients. There are 17 elements essential for plant growth. Hydrogen, oxygen, and carbon come either from the air or water. The others come from the soil. Depending on the quantity needed by the plant, these are called either primary or trace (micronutrients) nutrients. The micronutrient nickel is required in such small amounts (50 -100 parts per billion) by plants that it was identified only last year as being an essential nutrient. Other micronutrients are iron, manganese, boron, chlorine, zinc, copper and molybdenum. Some other nutrients have been identified as being essential for only certain plants, such as silicon for sugar cane. The primary nutrients are measured on a percent (parts per 100) dry weight tissue basis. These are nitrogen, phosphorus, potassium, calcium, magnesium and sulfur. The trace elements are measured on a part per million dry weight basis. 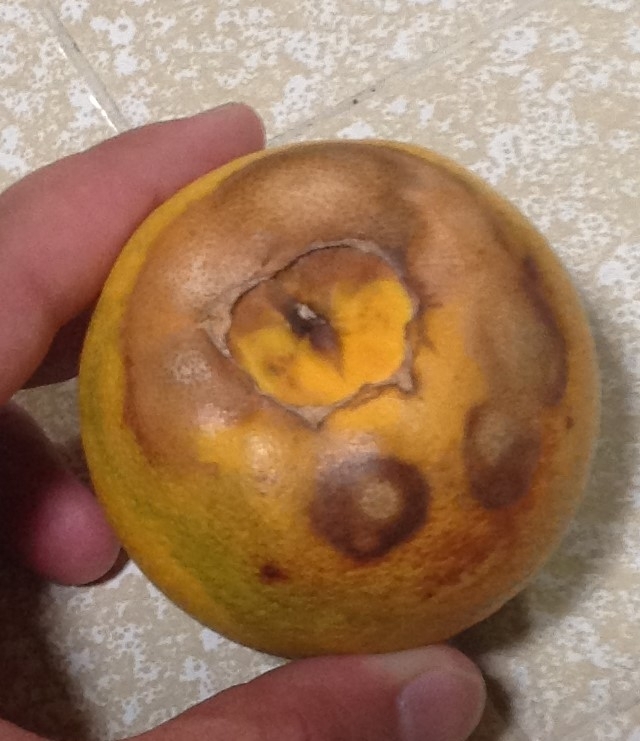 For example, a typical analysis of a dried leaf from a healthy cherimoya might show 2% nitrogen, 1% potassium, 100 ppm (parts per million) iron and 50 ppm boron. Although plants require more primary than trace nutrients, all the essential elements need to be present for a healthy plant. An excess, deficiency or even an imbalance of these elements will lead to individual symptoms which are characteristic to most plants. Because of our climate and soils, Southern California has different nutritional problems from those of much of the rest of the country. What is a problem in Massachusetts may rarely be a problem here. The following list is a description of the more common nutritional problems in most plants in Southern California. 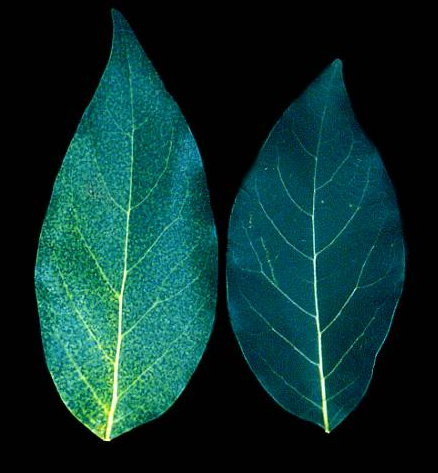 *Boron - chlorosis (yellowing), leading to tissue death (necrosis) along the margins of older leaves. *Sodium , Chloride - necrosis of the leaf tips and margins on older leaves. *Phosphorus - frequently the only symptom is smaller plants, but occasionally the leaves are darker than normal or may have a reddish cast, a common symptom in sweet corn. 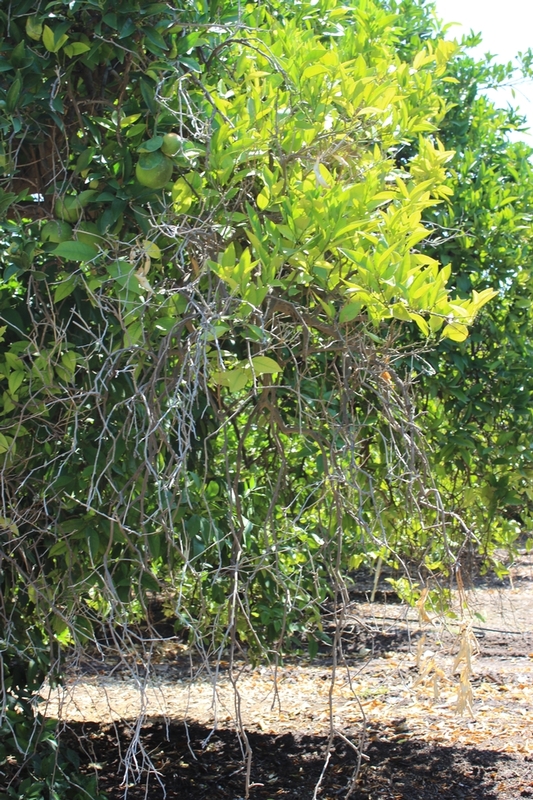 Phosphorus deficiency in California trees is rare. *Potassium - scorching or firing along leaf margins that usually first appears in older leaves. Plants grow slowly and have a poorly developed root system. Stalks are often weak and fall over. *Nitrogen - plants are light green or yellow. Older leaves are often affected first, but in trees the chlorosis may appear on any part of the plant. *Zinc - depending on the plant there may be interveinal (between the leaf veins) chlorosis on younger leaves, but frequently the leaves are small and appear in a rosette. *Iron - very sharply defined interveinal chlorosis of younger leaves, with little size reduction. Can often be associated with wet soil conditions. *Manganese - mild interveinal chlorosis of younger leaves, with no size reduction. These and other problems can be corrected with appropriate fertilizers, amendments and manures and also by soil and water management. In well-managed plants you may never see these signs, but learning the signals can help direct your activities if you do. Sweet corn is a wonderful indicator plant which develops very prominent symptoms according to the deficiency. Planting a row of sweet corn (not field) is a tasty way to determine if your soil has a generic nutritional problem.